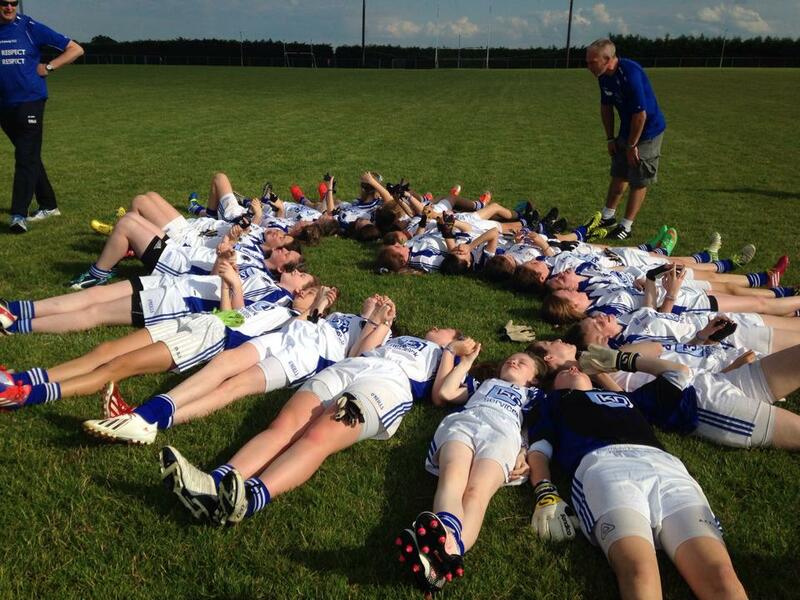 St Patrick’s u14 ladies represented Wicklow in this years football Feile and did themselves and the county proud. Graded in Div 3 the girls played their first two matches in Kiltoom where they defeated Roscommon Gaels and lost to a very talented New York county team who eventually went on to win the division outright. The team was hosted by Glenamaddy / Williamstown and were shown true Galway hospitality throughout the weekend. 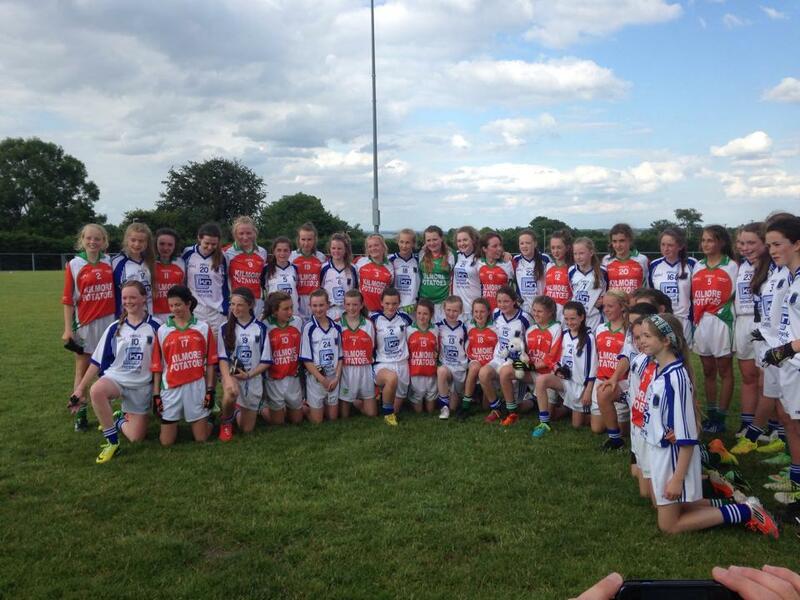 On Saturday morning both teams played each other and the Pat’s girls recorded a fine victory in a match played in great spirits, set up a quarter final with the Wexford Champions Kilmore. In this match both teams where evenly matched with the Pats just edging ahead by 2 points at h/t. A second half blitz early on put the Wicklow girls in the driving seat to win the game 3-03 to 0-2 and a place in the All Ireland Semi Final against the Co Down champions Carryduff. In the semi final the Wicklow girls got off to a flier with a goal in the first attack and were dominating the early exchanges but failed to take their chances. The Down team hit a purple patch of their own and scored 2 quick goals just before h/t and led by 4pts. It was they who started the second the stronger scoring 2 further goals. The Pats girls didn’t give up and started a come back, scoring 2-1 but just ran out of time. Final score 3-1 to 4-4. Overall it was a weekend of excellent football, so much fun and great memories for the whole team, their families, supporters, and for the coaches Brian McSorley John McGettigan, Mentors Joanne Kavanagh, Patrice Evans, Brendan Kavanagh, Martin Byrne and Co-ordinator Cassandra Dunne. Well done all….